Hey guys, dropping back in to see if there has been any software updates that improved the camera yet? Compared to when the phone was initially released, camera is slowly improving. Best night shots seem to be on hdr mode. Still not as good at night compared to the k1, but it's slowly improving. So you're saying there has been a software update regarding camera quality? It has received 5 updates so far. I wouldn't bet on anything groundbreaking, but there should be some improvement between the May/June update and the October one. There haven't been any feature or UX changes, so whatever they are doing, it's under the hood. Earlier versions of this page had mentioned this for other firmwares if I remember correctly. To me it;s still really terrible. I was at the Ritz Carlton with my mother last night. Took 2 quick shots for her, lights were barely dim. Quality is poor, I shot it from a few feet away. I zoomed in without thinking like I normally would to see the face and well.... not very good. People's faces in the background a very blurred. 1 person standing behind has a completely blurred face. Person beside him, has jagged pixelated hair. jd3232 and nucks26 like this. Sigh. Big update for me, it's called Pixel 3xl. Lol, I have the note 9, just sold my pixel 2 xl. So that's why I was asking. I liked the Key2 a lot, but the camera is just trash compared to Pixel or Note. Well it's arriving back on my doorstep Friday. Yeah, I have been a huge BlackBerry guy for a LONG time. Probably the last person in my town of about 8,500 people to regularly buy new BB's. I was all stoked for the Key2, but, I can NOT go backwards, especially in the camera department. I still haven't decided yet exactly yet which phone I am buying next, but probably Android so I can get the virtual keyboard (which I love), the Hub, and whatever other BlackBerry Apps I like. I just want a better camera, waterproofing, wireless charging, and I honestly don't even think/know if a Key3 will address all these, let alone if they even make a " 3". I would seriously look at those Evolves that are made for India if they did sell them over here. But, the "2" isn't gonna cut it for me sad to say. If you want the most complete phone, it's the Note 9 for sure. Aside from being a multimedia Powerhouse, I would argue that it's an even better business phone than anything Blackberry can put out. as far as the camera goes, nothing competes with the pixel. Samsung makes a very good camera, but pixel is just on a whole 'nother level. The detail is amazing. 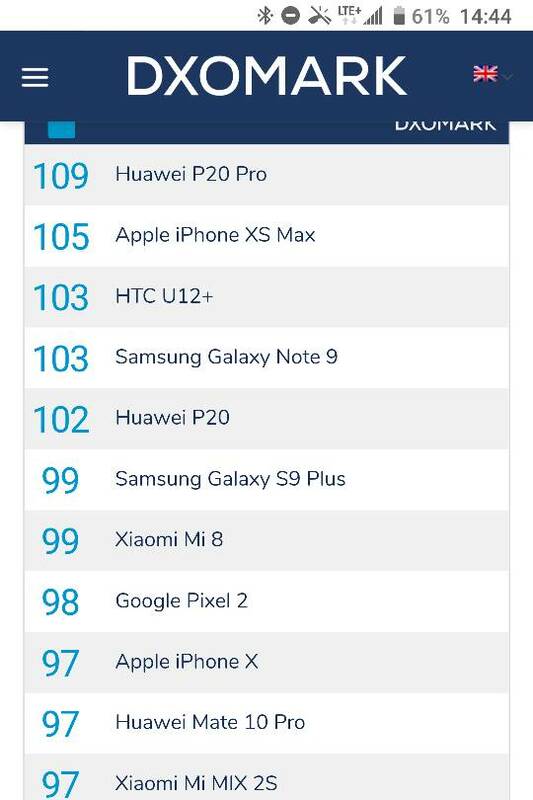 Note 9 as most complete phone ? As in, most amount of features ? Sure, but most users don't even use 40% of the available features anyway. As for "complete", well, if someone wants a phone that's more manageable in one hand then this is the last phone to go for, and of course if someone wants a keyboard, it's just not gonna do either. Camera and display wise, yes. Typing experience wise, it's a downgrade (as would any slab). Can you even hide the gigantic notch via software ? If I wanted a slab, I'd go for the non-XL just because of that notch and also for the compact form factor. Thankfully we're not forced to type on glass even in 2018. Hahahaha this made lol so much! You bought a Pixel 3 XL because the camera is supposedly better than the KEY2's? Well, not when it comes to videos! And the speaker ain't too good either. The threads are already piling up about uneven speaker quality and rattling on the 3 XL. Don't laugh too hard. As I haven't bought anything yet. The Pixel was high on the list as it's supposed to have a great camera. I'm just saying that the KEY2 camera gets a lot of hate and I partly agree with that (esp. When it comes to video recording! ), but the Pixel 3 XL seems to suffer from its own issues, which in the Pixel's case are hardware-related (wrong placement of mics, for example) and it's even more expensive than the KEY2, while the KEY2 suffers from software issues which would be easy to fix with the right software engineers. So yeah, I totally understand why the KEY2 might not be high on your list when it comes to the camera, but the Pixel 3 XL isn't any better on the video recording side and it's not even easily fixable. And the speakers are bad too, given the pile of threads about the speaker quality. But again: I do agree that TCL needs to fix the KEY2 camera, the video recording is bad. the key2 is easily is the best phone out there for someone who has a real camera to take out. Did you try it hdr? So you mean that TCL isn't the only manufacturer whose devices may have issues ?? Yesterday I compared KEY2 and KEY2 LE photos side by side. LE has the only disadvantage - it can't set higher ISO 1600. There is also small difference between these two in setting up the white balance etc. This means that the photos look sliightly differently painted. In overall, the quality is laughable in both cases. Video is pure trash in both cases too. The point is that KEY2 LE costs 1/3 less. So if you don't mind the swiping keyboard and rather care about the camera experience, save yourself some $ and take your gf to the restaurant instead.